In this new free listing, you can get free Oktoberfest flyer template for your beer festival. We are happy to help you in organizing and promoting your festival with the help of our printable Oktoberfest flyer templates. 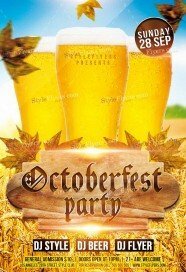 We try to create the best ideas for Oktoberfest invitations, which you can use in your advertising campaign. You can download for free any of our PSD sample from this category and spread it via the internet. 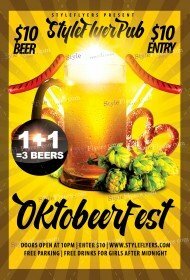 After you will try our free Oktoberfest flyer PSD templates, you will understand that our company provides our clients with the high quality Photoshop files with incredible and unique designs. After downloading, you can freely customize our flyer and implement your own ideas. 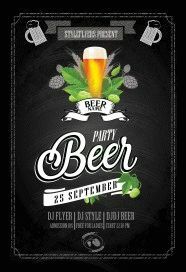 It’s a great opportunity to show your creativity and create a special invitation for your beer party. 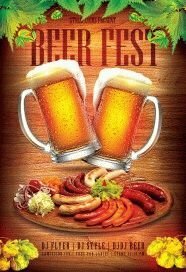 We all know that the most client are looking for the parties invitations via the social media network, That’s why it’s so important to use them for attracting new visitors to your beer festival. While you will search for the additional advertisement for social media networks, we offer you to try our free Facebook cover. This tool will be very useful for your successful advertisement. 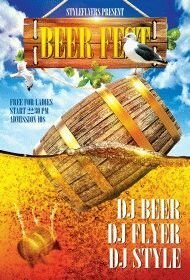 Don’t hesitate, look through our new category and choose your perfect flyer today!